A 3D rendering by the gifted artist Chazcron gives us a quick look at the 2015 Ford Mustang in its full glory. Based on the latest 2015 spy photos and video, these 3D renderings offer a scalable look at what might be under the cover. While the rear will need some fleshing out as we haven’t gotten a good peak at the back of a 2015 as of yet, the rest of the car has been rendered based on some pretty revealing front end photos, as well as side shots that show a bit of the camo peeled back. 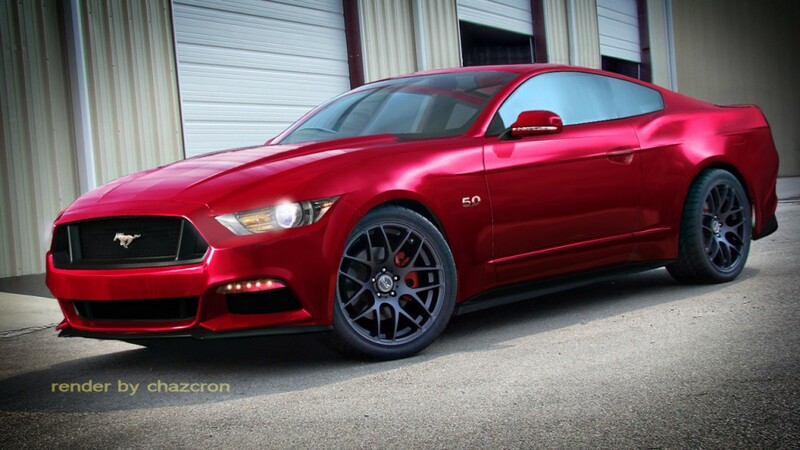 Still not a fan of the Mustang’s 50th anniversary redesign? Don’t panic just yet. While the 2015’s front end has been all but unmasked and we’ve got the weight and dimensions, the look of the rear continues to be one of Ford’s well-guarded secrets. We’ve got little to go off of and besides the claims of a few people saying they have seen the 2015 Mustang, the artist had to give the car’s rear his best guess. It should go without saying, but with the final look likely set at this point, many Mustang enthusiasts believe now is the time to take the covers off and let the public make their decision on the car’s new design and styling. Not bad ! When will it be for sale ?